Update 1.3 is almost here, with one week to go, it’s even closer than Christmas and all the fun associated with it. 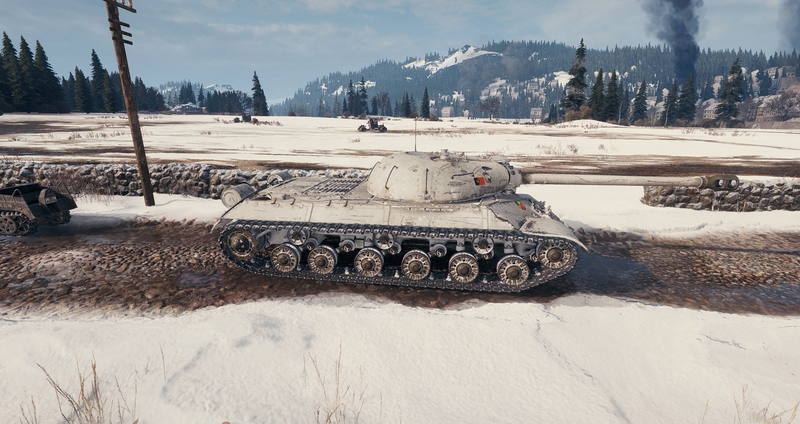 With the latest World of Tanks update, there is one small innovation that is coming just for a few players, the Soviet Tier VIII Premium heavy tank IS-3A will be seriously updated. What will change in 1.3? IS-3A was never a popular tank since its release, but with Update 1.3 he will have a nice pleasant surprise for its owners: reverse auto-reloading mechanism. The vehicle lacked something unique, something different that would make it stand out from the IS-3 and other similar vehicles. The reverse auto-reloading mechanism is very similar to what the Italian high Tier vehicles have, but as the word suggest it, it’s reversed. You no longer have to have the clip full to get the shortest reload time, instead, the more shells you load, the more it takes to reload them. Its magazine has a capacity of three shells, which are automatically reloaded as you use them. As soon as one shell is loaded, you can shoot it immediately as you wish. The reloading time of the first shell is 12 seconds, in its basic configuration, the next one takes 15 seconds to load and the whole magazine a whopping 18 seconds. As you can see there is an obvious difference from the Italians: waiting for the full reload seems to be very beneficial to surprise your enemies. And what a surprise will it be, you can unload three shells in your enemy and continue to fight as a regular IS-3. With an amazing burst damage, this vehicle will now be able to finish off a regular IS-3 on a 1vs1 before the opponent even has time to reload its third round. Quite impressive, no? How will the replacement happen? 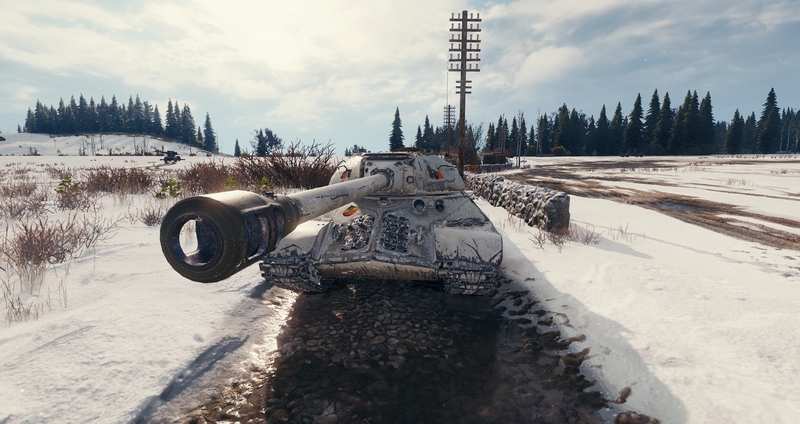 After the release of Update 1.3, all owners of the IS-3A will receive a renewed vehicle in the hangar. All equipment will be removed from the original tank and transferred to the Depot. The crew, by the way, will remain the same. The vehicle won’t be for sale, at least for now. So it’s basically an IS3 that has 1170 dmg ready when it reaches the battlefield ? Sounds WG enough. It isn’t basically an IS3, it is inferior to an IS3 in several ways. It has a hp/t of 10.61 (which is about on par with the Lowe), it has 0.44 gun dispersion with mediocre accuracy soft stats and it has slightly lower penetration with apcr as standard ammo (thus has less normalisation, the bonus shell velocity is largely wasted due to the aforementioned accuracy issues). It’s main (and only) advantage is that it can potentially fire out 1170 damage in the first 6 seconds of a fight but afterwards it is then an inferior IS3 with regards to dpm (it doesnt get a gun rammer), accuracy and mobility. Yes they will extremely frustrating when it goes live and on sale (probably in the advent calendar somewhere) and you encounter them firing only 270mm pen HEAT rounds but I’d personally probably rather play against an IS-3A than against a defender. It’s at least a smart intro: if the thing is a problem the game won’t be flooded with them. There are many other vehicles in the game with 120mm autoloaders. Which start at tier 9 indeed….. Not tier 8. Putting an auto-reloader on an IS-3 chassis is a very poor idea. Wargaming has clearly not learnt from the recent design fails. Their total inability to learn from their mistakes will sooner or later be the downfall of the game. Previous Entry Watch a Stream – Receive a Free Container!